Why Be a Member of a Union? What does the FSU do for you? Nationally, union members have higher wages and greater benefits (especially pensions and health care). Many non-tenure track faculty across the country, for example, do not have health care benefits and access to the employer’s pension plan, when they are not unionized. What Ever Happened to Faculty Governance? A provost vetoes a faculty hiring decision. 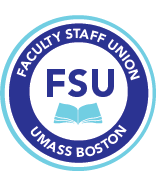 Faculty are notified via memo that a program will now be housed in their department. A meeting of the Faculty Senate is dominated by administrators.